Seniors who are no longer able to do daily living activities such as grooming, dressing or even walking may be forced by these circumstances to need assistance almost 24 hours a day. 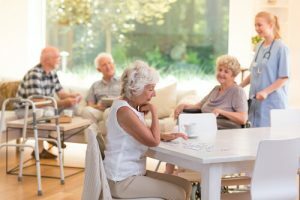 In these cases, assisted living is one of the best options, because it is not only convenient for the residents to remain in their houses and keep their independence rather than living in a nursing home, but it also ensures elders that someone is always there to help and take care of them. This is an alternative to home health care. Even if this facility does not come with a full-time skilled nursing care, the person assisting the senior should be able to monitor his/her help and make sure the prescription medications are well managed. As a federal health insurance program designed for people aged over 65, Medicare is the most popular care insurance seniors choose. Nevertheless, elders should be well-informed about the benefits this policy has, as they might find that it does not cover all types of costs. Assisted living is one of the long-term care cases that is not covered by Medicare. This type of insurance is complex and aims at covering costs related to hospital insurance, medical insurance, and prescription drugs, but living costs are not to be found among them. Because the services offered by assisted living facilities are not offered by skilled health care services, Medicare does not support the costs of this type of facility. The only cases in which Medicare pays for assisted living are the short periods of recovery after a complex surgery, in which the patient is not only unable to perform some of the usual tasks, but also needs specialized medical care. This is only for very short periods of time. Because of the custodial nature of these assisted living services, the costs cannot be supported by Medicare, but there are other benefits you can take advantage of that are related to health care services at home in case you meet the requirements that are recognized and supported by Medicare.